Types of Centrifugal Pumps: Are Your Workers Familiar with all of Them? 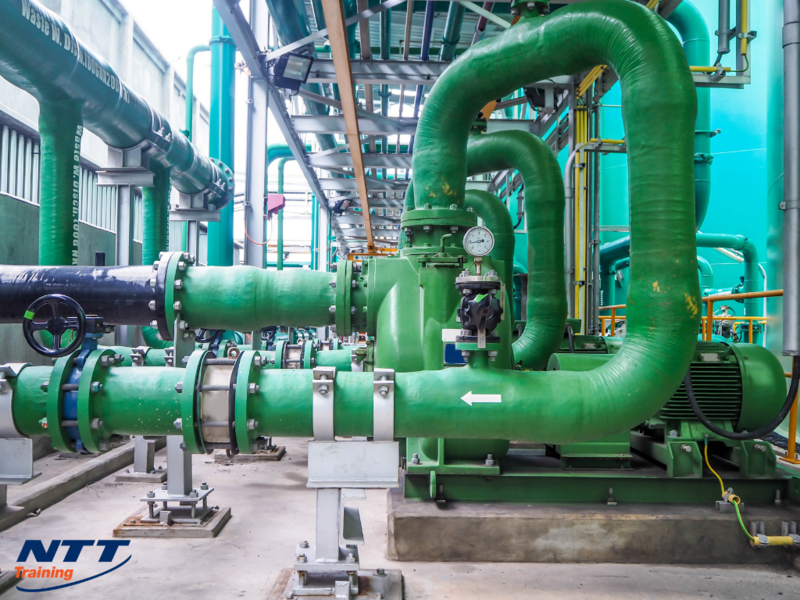 NTT Inc. - Types of Centrifugal Pumps: Are Your Workers Familiar with all of Them? Centrifugal pumps are a popular choice when it comes to having to move fluids. It’s pretty obvious considering they are used in a vast number of applications and purposes across almost every industry. How long has it been since your workers had a chance to have hands-on training with the different types of centrifugal pumps? Do you think that they still have all of the knowledge they need about them to efficiently and accurately perform their daily tasks with these pumps? It may be time to consider a seminar to help them get up to date and refresh them on these fantastic tools. What Do Centrifugal Pumps Do? Centrifugal pumps have so many different purposes. They can be used to supply water. They can boost pressure. They can circulate hot water or drain sewage. They are even useful in fire protection systems where they can provide water thanks to the pump action. What Are Some Different Types of Centrifugal Pumps? As there are a large number of industries and purposes for centrifugal pumps, they can be classified in a number of different ways. The first is based on the number of impellers that are inside of the pump. This number can make pumps a single stage, two-stage or a multi-stage. A single-stage has one impeller pump, a two-stage has two that are side by side, and a multi-stage will have three or more that work in a series with each other. The way that the case-split is organized is another way that centrifugal pumps are categorized. There are radial splits and axial splits. The radial split is usually perpendicular while the axial is horizontal. Centrifugal pumps are also classified by single or double suction. Single suction only lets the fluid come in one side whereas the double can come in from both sides. The area of the bearing support is another categorization. They can be between-bearing or overhung. The orientation of the shaft is yet another. A final classification is the industry standards that the pump complies with, such as ANSI or a Nuclear pump. How Are They Used in Industry? A large number of industries use the different types of centrifugal pumps to operate. They are essential in the oil and energy field and are essential for pumping slurry, mud, crude oil, and more substances. Food, chemicals, and medications require centrifugal pumps to refine, create, and move their products. They’re used in the production of paint, petrochemicals, cellulose, food, drinks, sugar, and more. Centrifugal pumps are used to protect and provide comfort in buildings and equipment. They are used in air conditioning, sprinkler systems, cryogenics, boiler feed applications, heating, refrigerants, ventilation, and pressure boosting. They are used in agriculture, manufacturing, and waste management. Irrigation in fields, gas processing, wastewater treatment, drainage, and flood protection are all dependent on centrifugal pumps. How Can Training Help Employees Work More Efficiently with Them? Training works as an excellent reminder system, even for employees that are very knowledgeable about their job. Training works as a refresher course for those employees that are top of their game. It gives them an opportunity to get more information on the different types of centrifugal pumps they met and may help them to get new information. There may have been improvements and changes since the last time they went through training. Your employees may be missing important steps that could negatively affect their efficiency when it comes to how they do their jobs. Training can help them to most effectively use and handle the different types of centrifugal pumps. Ready to Make a Change in your Workplace? Are you considering sending your workers to a training course covering the different types of centrifugal pumps? Contact NTT Inc. today to learn more about the hands-on Centrifugal Pumps seminar that we offer.